Adjusted in many ways and offers targeted pressure relief for the knee joint. 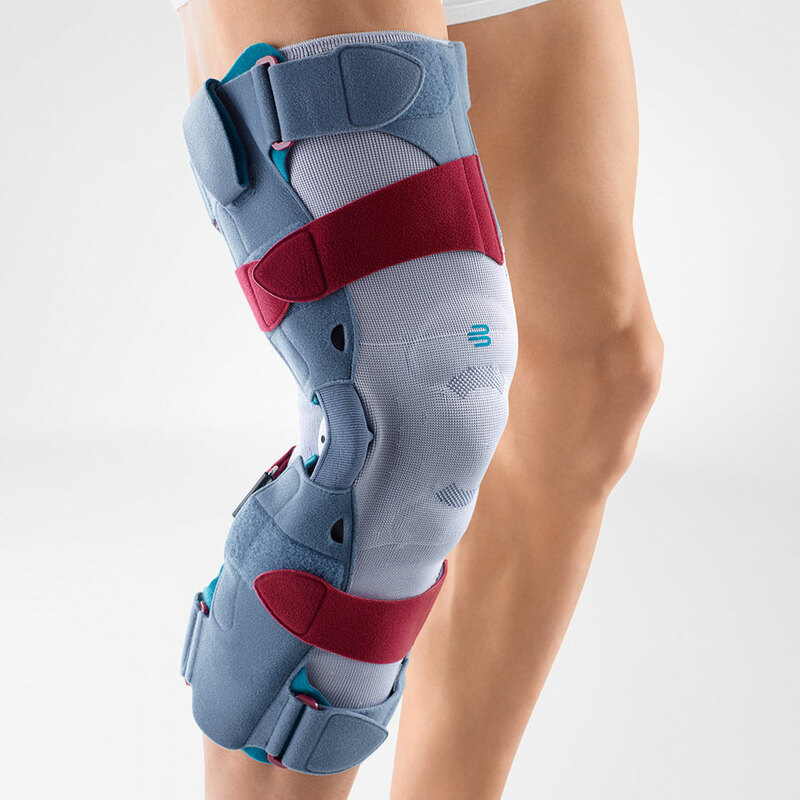 Two integral pads above and below the kneecap counteract swelling and hematoma during every movement. At the beginning, the anatomically contoured shells can be heated and adapted to the patient's individual leg shape. The pressure can be changed at any time depending on the activity or rest period: this is done by filling or emptying the air bladder system to increase or reduce compression. Indications: Medially affected osteoarthritis of the knee. Circumference 1 (knee circumference): 1 (32-35cm), 2 (35-38cm), 3 (38-41cm), 4 (41-44cm), 5 (44-47cm), 6 (47-50cm), 7 (50-53cm). Circumference 2 (Calf circumference 15 cm above the knee): 1 (31-35cm), 2 (34-38cm), 3 (36-40cm), 4 (39-43cm), 5 (42-46cm), 6 (45-49cm), 7 (48-52cm). Circumference 3 (Thigh circumference 17 cm above the knee): 1 (41-45cm), 2 (44-49cm), 3 (48-53cm), 4 (51-57cm), 5 (54-60cm), 6 (57-63cm), 7 (60-66cm).